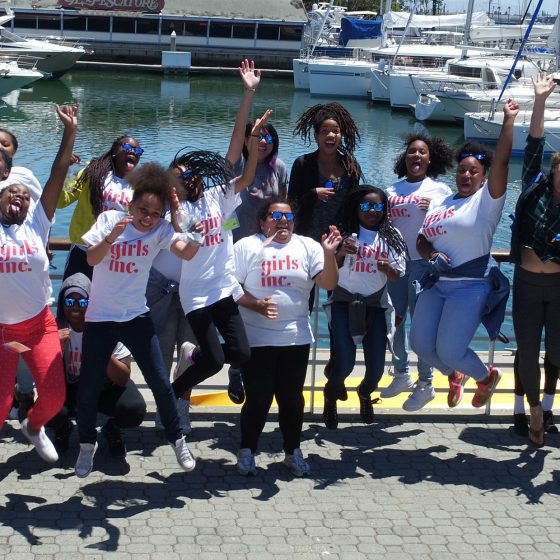 Expand girls’ understanding of potential careers by hosting a field trip. During a typical visit, girls tour the office, participate in a demonstration of your work through a hands-on activity, engage with a mentoring panel, and enjoy a healthy lunch or snack. Expose girls to new experiences that are often not accessible to youth from low-income backgrounds by leading an off-site adventure. Your team can act as mentors, role models, and teachers during activities like mountain biking, hiking, or rock climbing in a gym. Make our sites bright and cheerful by painting, landscaping, organizing site areas, or assisting our program staff with decor. Your efforts directly impact our girls by creating and enhancing a positive learning environment. To get started, please reach out to Nicki Guard, Community Engagement Manager, at nguard@girlsinc-alameda.org or (510) 357-5515 ext. 220. Interested in volunteering on an ongoing basis? Learn more about our individual volunteering opportunities.